Idli - a delicious south Indian steamed rice cake which is an absolutely all-time comfort food. And yes, there is a specific day for this humble idli which is being celebrated on 30th March each year as 'World Idli Day'. Some also narrates that idli Day is the chutney and sambar's best friend day 😉 ! The idli-sambar-chutney makes a classic combination for me always. For most Indians, particularly South Indians this is often eaten as breakfast along with some piping hot sambar and a variety of tasty chutneys. These days many dietitians consider idli as one of the nutritious and healthy foods for the human body. Dietitians also re suggesting to have idli regularly in a breakfast for weight loss. In India, there is also a varieties of idli which differ from places to place with different names as well like Hittli in Konkani, Muday idli in Mangalore, Sanna in Goa etc. Even the main ingredients of idli has been changing as per demand in current days. Although the authentic main ingredients of an idli is rice and lentils, still one can make idli using semolina / rava, different types of millets etc. Well today I have an idli recipe using Quinoa as 'Instant Veggie Quinoa Mini Idli' :) Quinoa is a gluten-free seed that can make a great substitute for rice and other grains. And in recent days this seeds are becoming a huge in demand and considered as a wonderful 'super-food'. Overall, quinoa has an incredible nutrition base and contains all nine essential amino acids. First make a fine powder from the quinoa in a blender and keep aside. In a pan, heat 1/2 tbsp oil. Add in mustard seeds, cumin seeds and allow to splutter well. Then add curry leaves and grated ginger. Saute a bit and then add semolina / sooji. Fry for 1-2 minutes over low heat. Next add powdered quinoa and mix everything well. Fry for another 2-3 minutes and turn off heat. Transfer to a plate and allow to cool down completely. In a mixing bowl then take yogurt / curd and beat well to get a smooth texture. Next add grated carrot, green peas, chopped coriander leaves, coriander powder, turmeric powder, salt and mix using a spoon. Then add cooled quinoa-semolina mixture to the bowl and give a nice mix again. If needed, 1-2 tbsp of water can be added to get a thick yet pour-able consistency. Turn on the idli steamer or any steamer. Meanwhile grease the mini idli molds with oil. Now add the eno / fruit salt to the batter and stir well. Immediately pour the batter into the greased molds and steam for 8 minutes or until a toothpick inserted into the cooked idli comes out clean. Take out all the idlis from the idli molds. Serve along with any desirable chutney / sambar / any other curry ! 1/2 tsp of chana dal can be added while sauteing the cumin and mustard seeds. I have not added chana dala here as my son doesn't like that crunch in the idli. One can use the regular idli mold also. But the steaming time may take little longer than the time mentioned here. The baking soda (3/8 tsp) is opted if eno / fruit salt is not available. Addition of water to the batter is quite tricky. Don't add too much water, otherwise the batter will be runny and after cooking the idlis become flat and sticky. The batter of the idli should be thick yet pour-able. Some chopped green chilies also can be added to the batter. This Instant Veggie Quinoa Mini Idli is contributed for 188th theme of the Foodie Monday Blog Hop foodie group which is decided as 'IdlyMedley' and suggested by Mayuri di who blogs at Mayuri's Jikoni. Such cute little idlis, love how you've made them different by adding turmeric too. A healthy start to the day or even a wonderful healthy snack option. And kids love food that's cute and small. 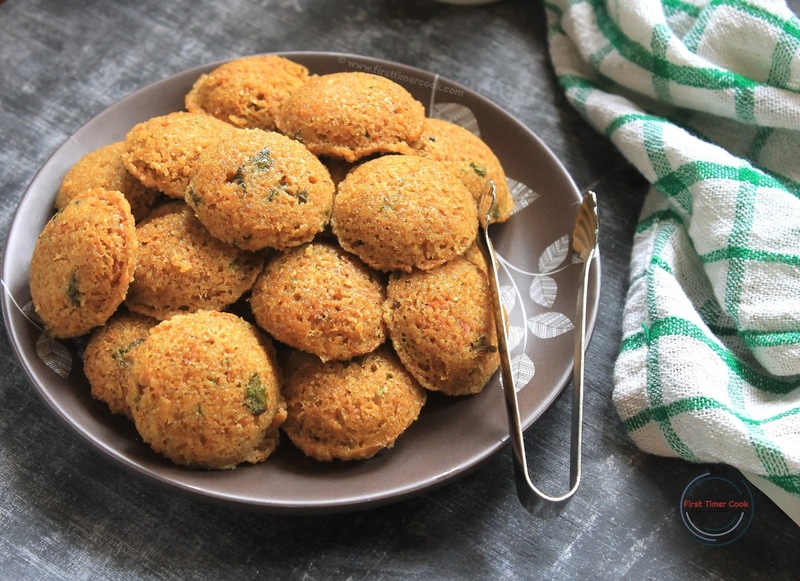 We love the nutty flavor Quinoa imparts to the idlis. 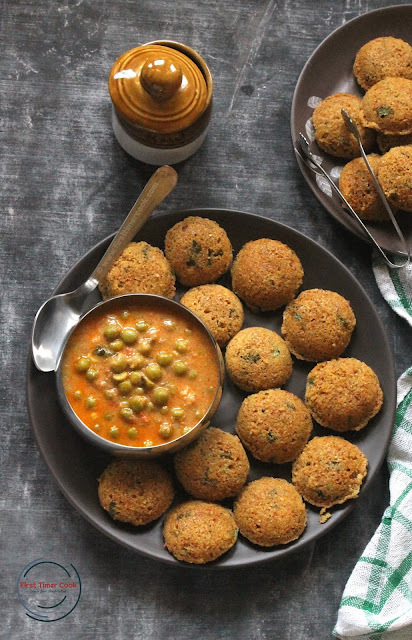 Your mini idlis with veggies sound filling and so inviting ! I love Instant versions of Idlis and if they look so delicious and healthy, I am sure to eat them all. Seriously they look super yum. Instant Quinoa mini idlis ook so cute.i Love Instant version .These vegetable idlis loaded with the goodness of all the veggies is wholesome and nutritious. 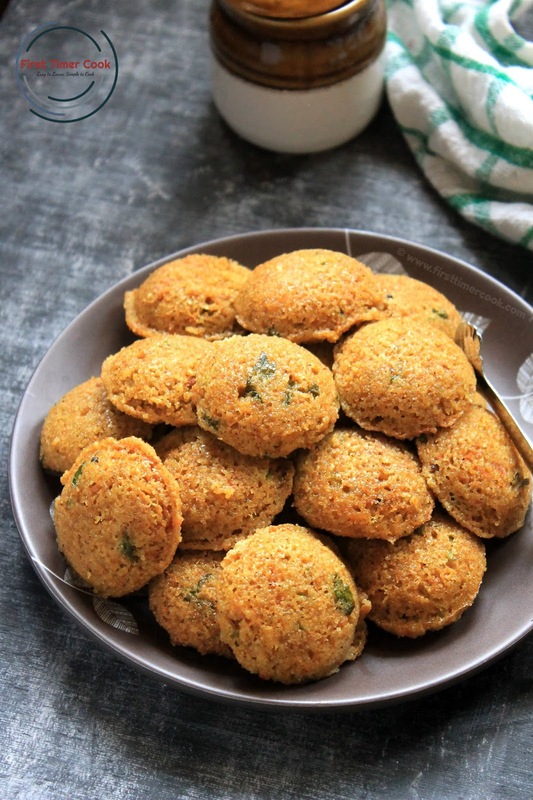 I love these mini idlis with quinoa. They look so cute. Looking at these idlis I am ruing finishing all my quinoa. No worries will try after May 19. Instant quinoa mini idli looks so soft and delicious. 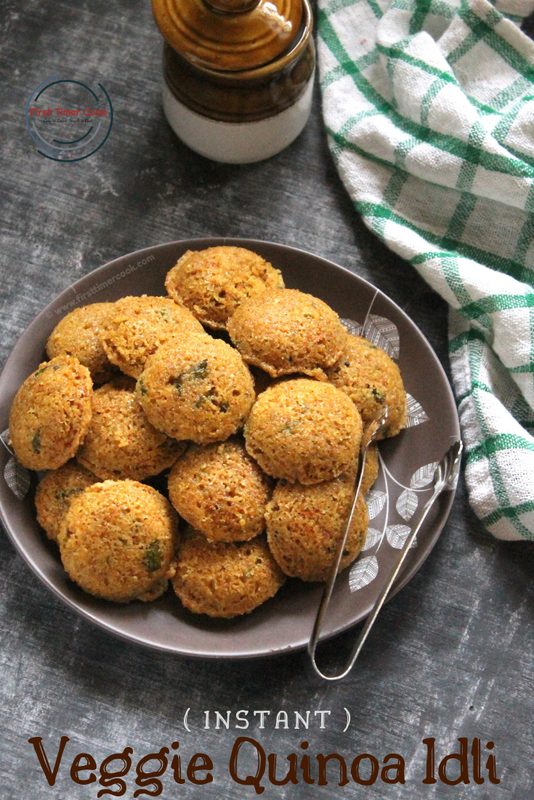 Using of quinoa carrot made these idli super healthy. These mini idli also looks so cute. Loved it. The mini Quinoa Idlis looks so cute, lovely color of the idlis with the addition of turmeric.So easy for toddlers and kids to eat these wholesome bites! !